What a day it was!. It was a wonderful day of learning, meeting amazing people, great location and great food! 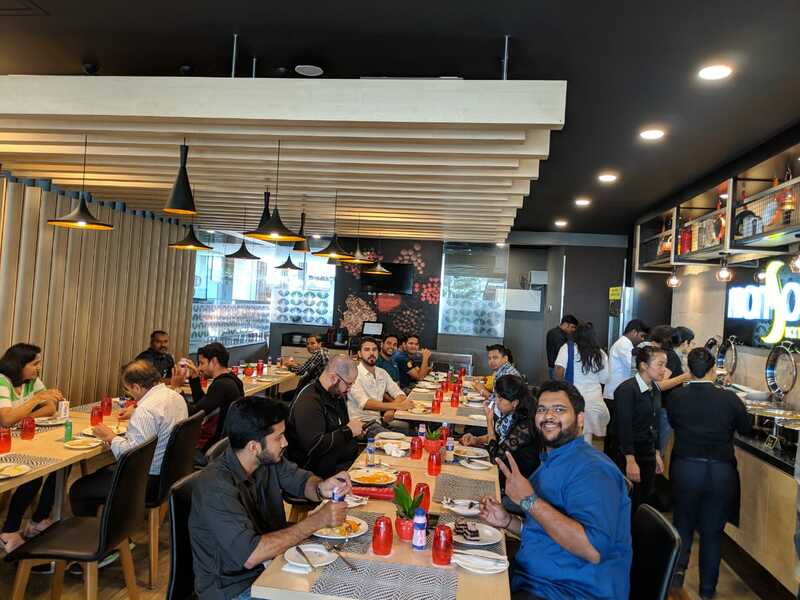 We organized SAP CodeJam on Machine Learning topic at Bengaluru on 14th December 2018. 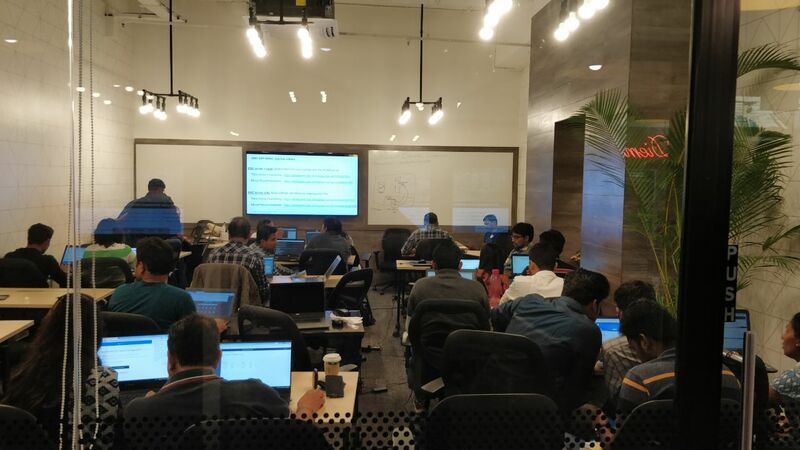 The day started with a full house of 32 participants with lots of energy to build Machine Learning models with SAP HANA. The crowd was mainly developers with ABAP/UI5/CRM skills. We also had few data scientists, architects, and managers who were here to understand SAP’s capabilities in this area. @abdel.dadouche from SAP’s developer relations team was our resource person from SAP, who traveled all the way from Paris to enlighten us. He went through the slides explaining about HANA, flavors of HANA installation and ML capabilities within HANA. He also gave an overview of ‘Developer Center’, and 900+ tutorials there. These are my important takeaways of the session. There are three ways to do ML with HANA. 1. Using APL (Automated Predictive Libraries) 2. PAL (Predictive Analysis Library) 3. Integrate with R and/or Tensorflow. This is also the order in which you need to explore if a particular use case can be satisfied with these three options. It is recommended to use HANA 2.0 (not 1.0) for all the ML use cases. All the new product developments (algorithms, new developer experiences) happening only on HANA 2.0. Most current S/4 installations have HANA 1.0, so may not be an ideal way to kickstart your ML project. (Big dampener for me!). Also, I do not see any tutorials on doing ML with HANA 1.0. So next, it was time to get our hands dirty. Most people were ready with the SAP HANA Express (database server + XSA) flavor running on Google Cloud Platform. Abdel explained the agenda for the day. We could choose from two scenarios. There were two ways of realizing these scenarios. In each of these scenarios, tutorial had the steps to achieve the objectives using both APL and PAL. Then we broke for a great lunch buffet. After lunch, we got started with the tutorials and Abdel was there to guide us through our tutorials. In the process of running through the tutorials, participants got a feel of the steps involved in building and training a model and forecasting/recommending. Overall it was a great day to ignite our passion for the ML topic and show the path forward. Thanks to Abdel DADOUCHE , and Krishna Dalal from SAP for making this a reality. Special thanks to ConvergentIS for sponsoring this beautiful location for the event. Thanks again fir hosting me during the event. Just to clarify a quick thing, we require SAP HANA, express edition 2.0 to run the CodeJam as it is a convenient option for local development and experimentation. But HANA 1.0 included already many algorithms and these are used in SAP solutions like Hybris Marketing or S//4HANA just to name a few. For S/4HANA, the latest release (1809) now only supports HANA 2.0 as per the PAM, but earlier releases supported both HANA 1.0 and 2.0. Great recap, must have been an awesome learning experience.